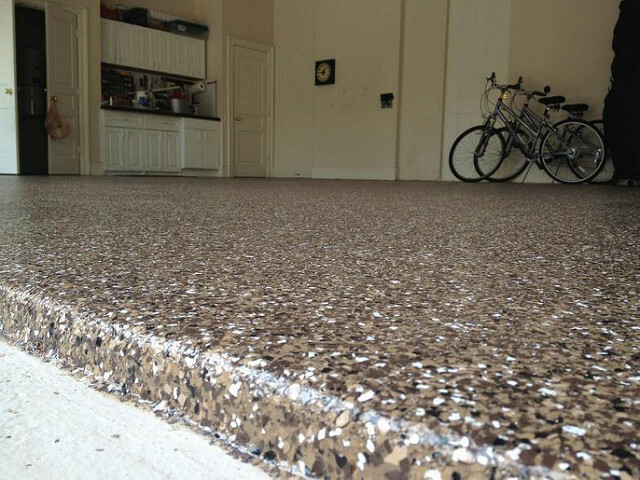 Our Epoxy Garage Floors is a strong floor coating designed to be an alternative to conventional Terrazzo. Epoxy flooring is easy to clean, offers industrial-grade durability, and protects against heavy foot and vehicle traffic while still giving you a customizable, strong, low-maintenance floor. We offer multiple design options to suit any of your design needs. With slip-resistant finish or a high build epoxy for a smooth floor, Epoxy flooring from Artistic Concrete Design can be customized to meet your design and functional needs. Preparation is the first and most important step in applying our Epoxy Flooring system. We know the importance of installing our coatings over fully prepared concrete surfaces. Because of this, we spend over two-thirds of our time preparing your concrete before we start coating it. 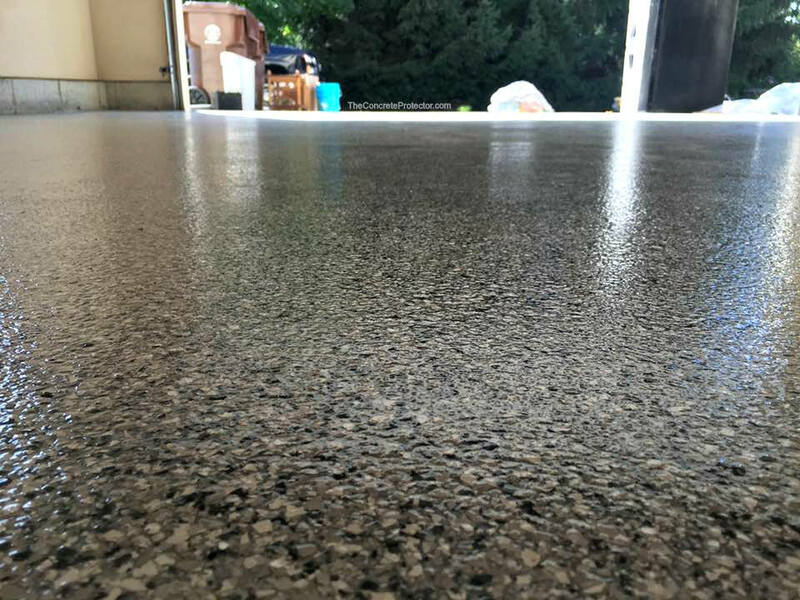 With an adequately prepared concrete surface, our epoxy coatings will bond with your concrete to create a durable, long-lasting floor. 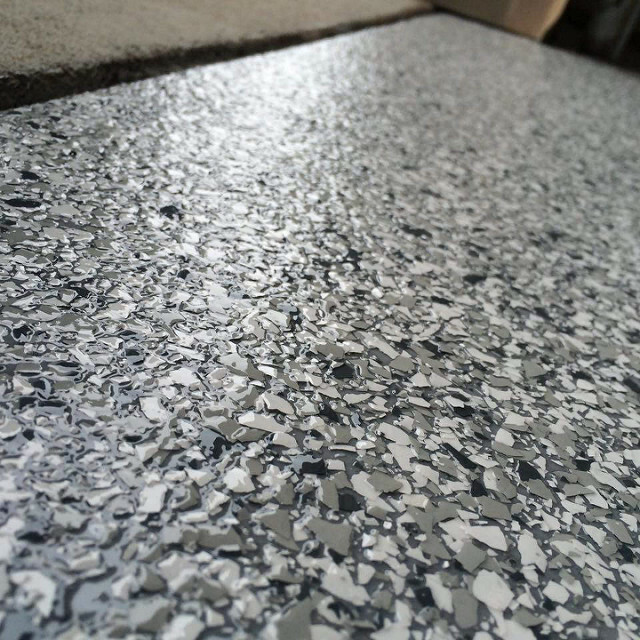 Our Epoxy Garage Floors Flakes combine the durability of epoxy floors with the style and customization of colorful epoxy flakes. Epoxy Flakes come in different sizes and colors, giving you seemingly endless options of how to design your epoxy garage floor. 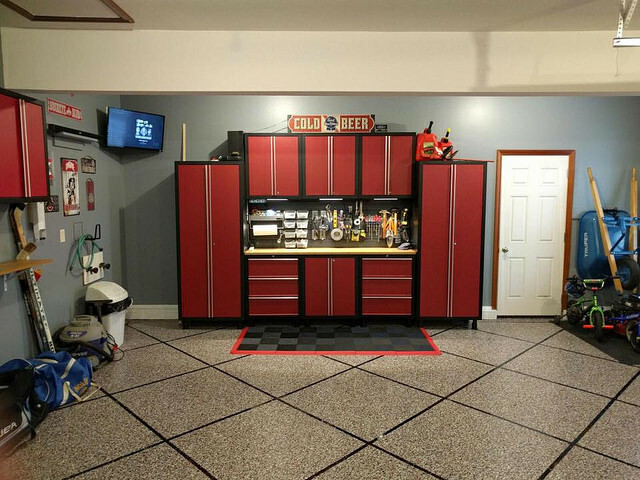 Use different colored and size flakes to create a unique, colorful, and durable epoxy flake floor you’ll certainly love. Artistic Concrete Design of Iowa prides itself on our ability to give you the best service possible. At Artistic Concrete Design, it is our mission to provide you with a top-quality decorative concrete floor that is sure to impress.